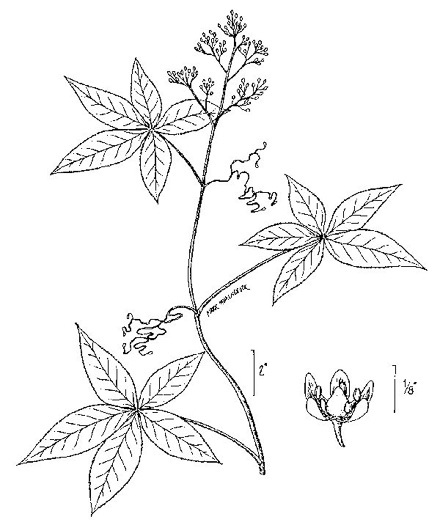 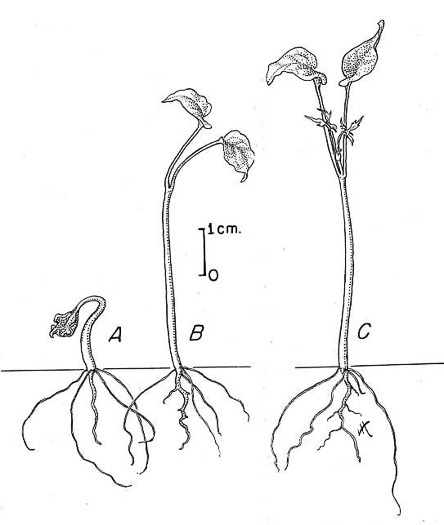 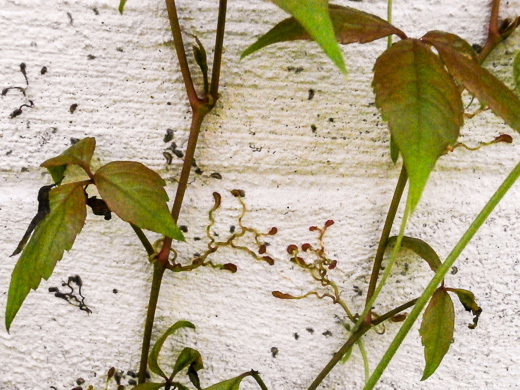 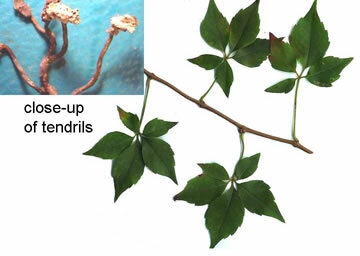 Disks on small branching tendrils adhere to walls, trees and rocks, per Wildflowers & Plant Communities of the Southern Appalachian Mountains and Piedmont. 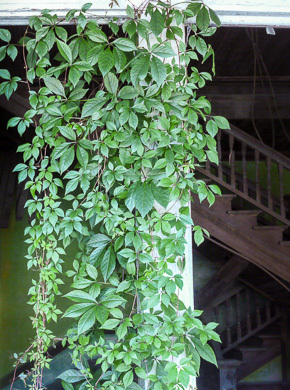 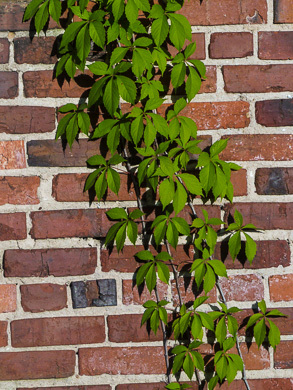 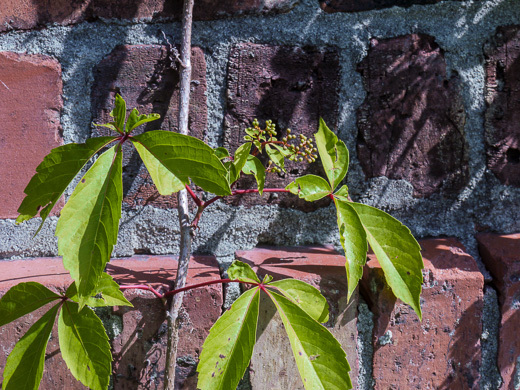 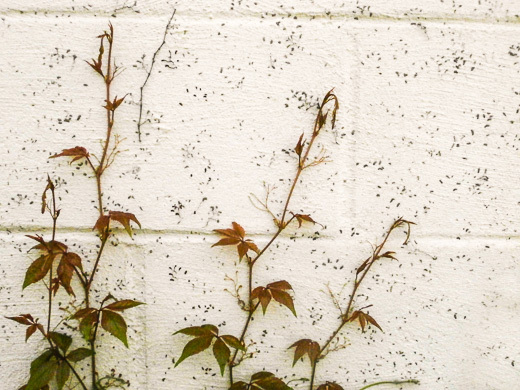 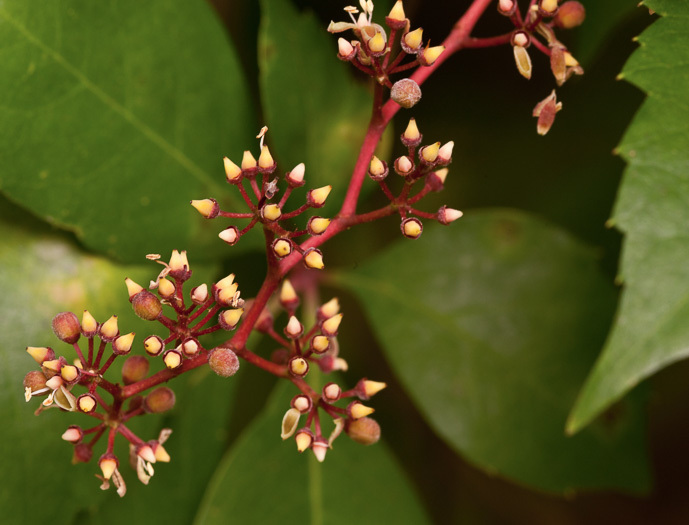 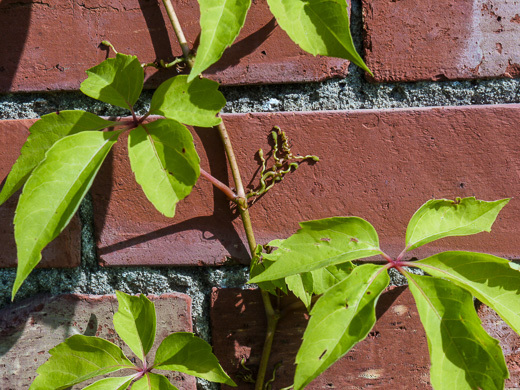 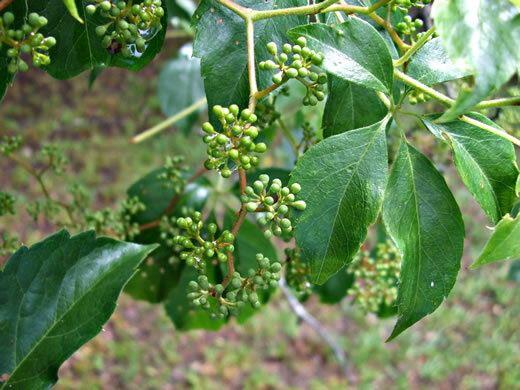 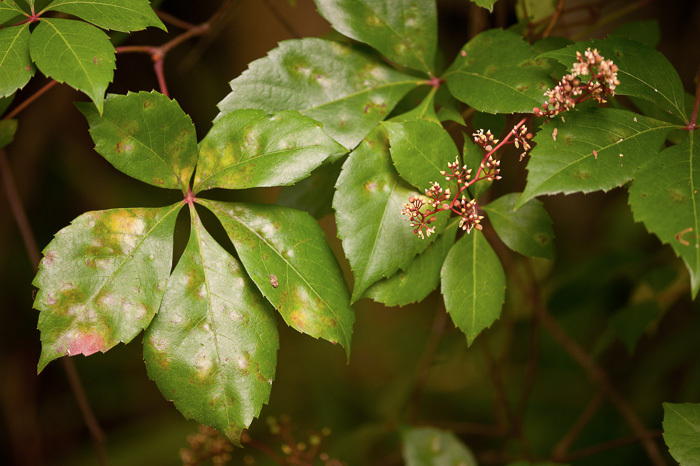 The "ivy-covered walls" of many universities are covered by creeper not ivy, per Wildflowers & Plant Communities of the Southern Appalachian Mountains and Piedmont. 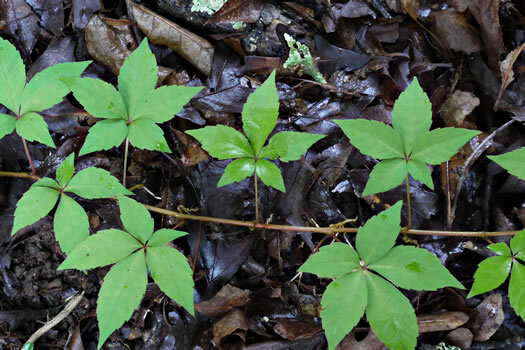 The adhesive disks secrete a cement-like substance, per Wildflowers & Plant Communities of the Southern Appalachian Mountains and Piedmont. 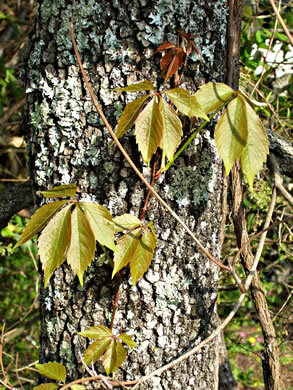 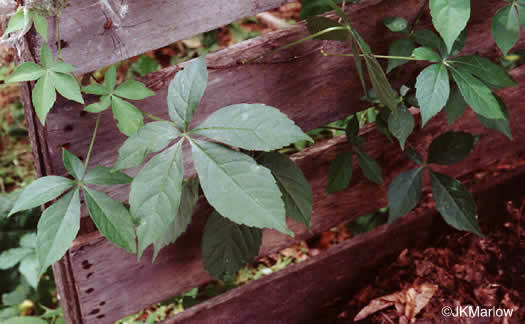 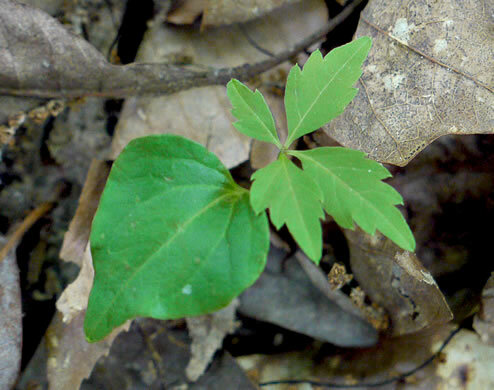 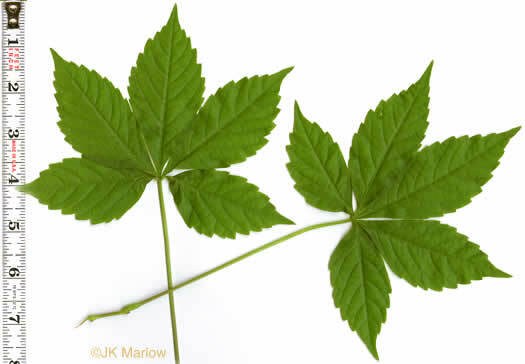 Branched tendrils occur opposite the leaves of growing shoots, per Forest Plants of the Southeast and Their Wildlife Uses. 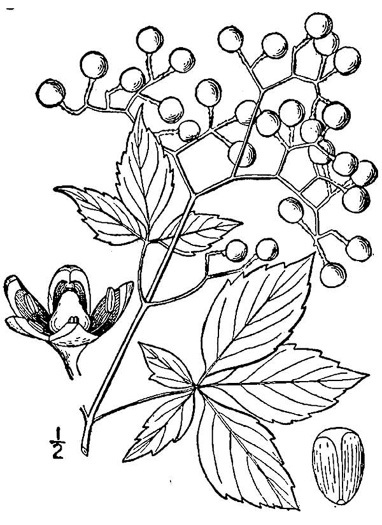 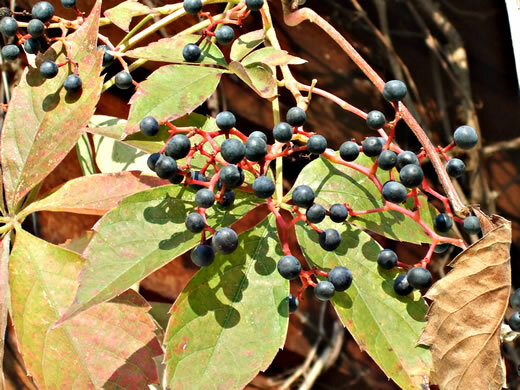 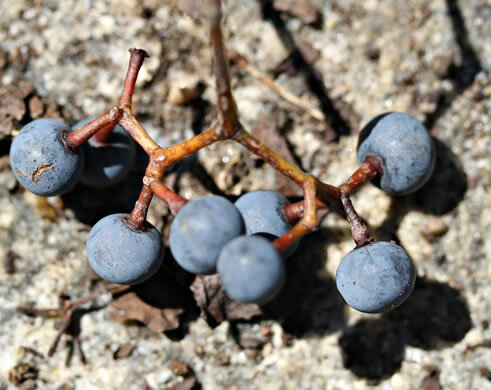 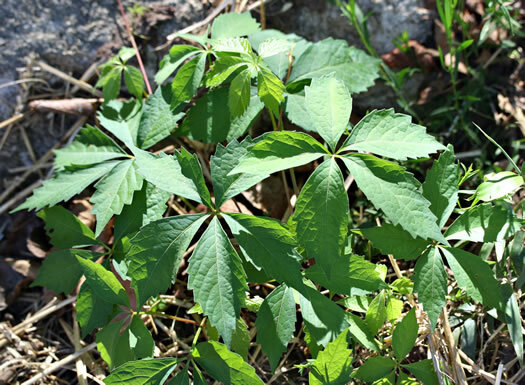 Drupe black to dark blue and white waxy, containing 3 lustrous brown seeds, per Forest Plants of the Southeast and Their Wildlife Uses. 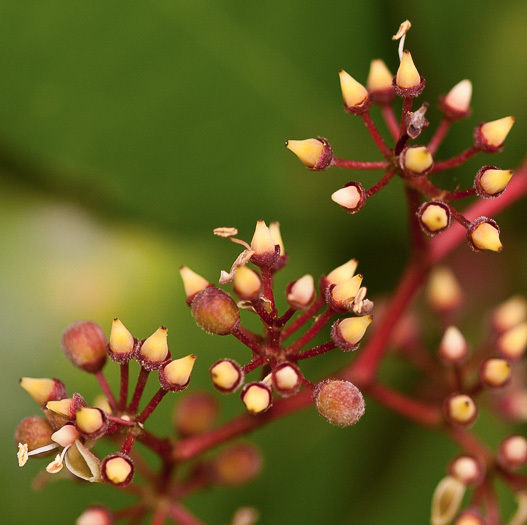 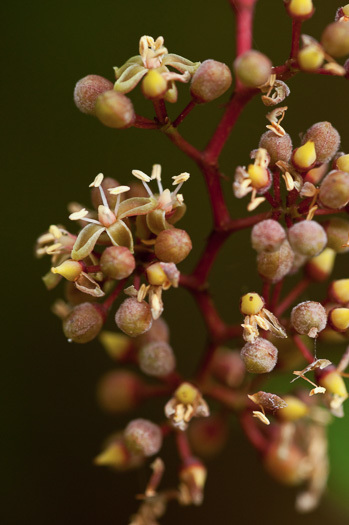 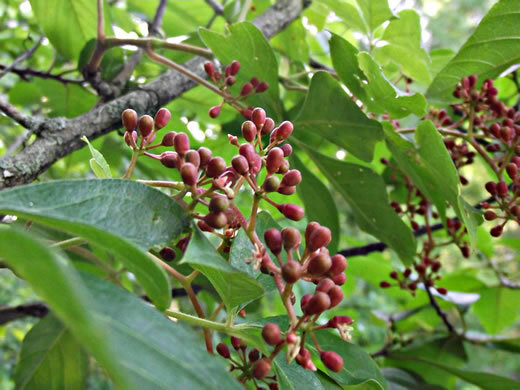 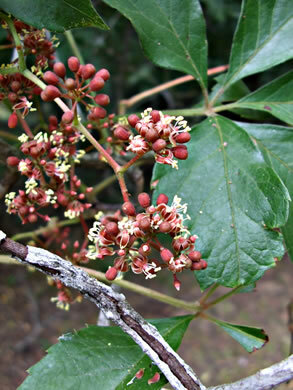 The persistent fruits are eaten by numerous songbirds, per Forest Plants of the Southeast and Their Wildlife Uses. 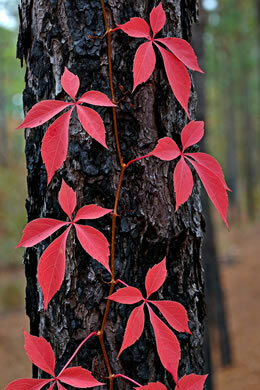 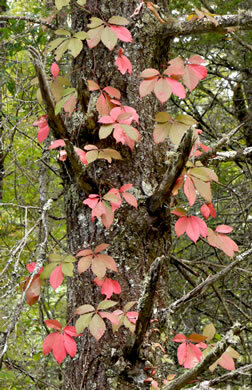 Its rich crimson fall foliage is among the first to color in autumn, per Gardening with the Native Plants of Tennessee.